Royal AK Automatic is a feminized modification of the classic and well-known AK47. 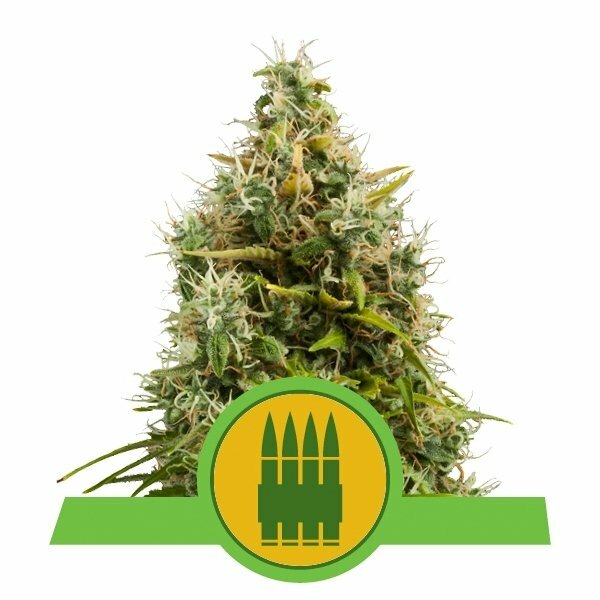 A standalone AK47 breed has mostly Sativa genes and she is a cross of the most notorious Afghani, Thai, Mexican and Colombian ancestors famous for its vigorous growth and strong high. Grows as easy as 1-2-3! The Royal Royal AK Automatic is a marijuana variety that grows from medium to tall height for a variety reaching around 80 - 100 cm. Because of multiple ancestor genes the plant grows into a majestic weed filling the room with an intense musk. During the growth you will be amazed by the intensive smell of one the best combination available. She is may be easily classified as a perfection for indoor cultivation. This marijuana is a fast grower with average flowering time of 9 weeks from seed to harvest. The trophy for a proper farming will be 100 grams in average harvest per plant. 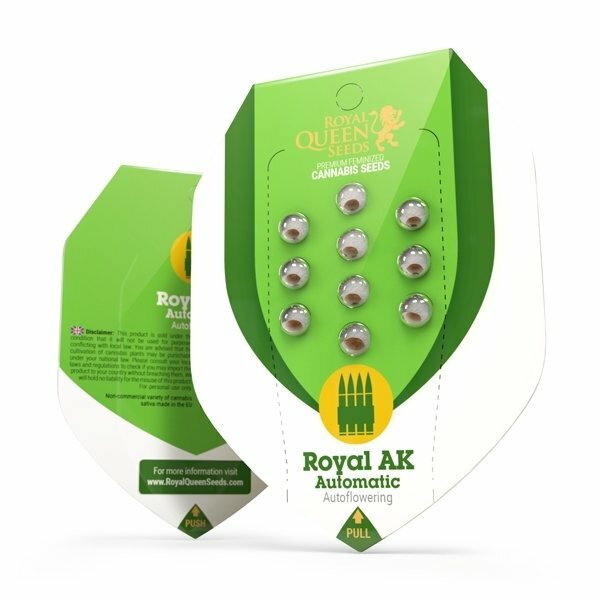 Royal AK Automatic by Royal Queen Seeds is a proudly represents her kin by filling up everyone expectations. She smokes with a perfectly balances physical stone and a transcendental high. Started well under adverse conditions. This survived a mixed batch of 6 where only three sprouted. Other 2 strains didnt make it. All 3 seeds are growing very fast + super good. Sehr schnelles Austreiben und gleichmäßiges Wachstum.Jede Wachstumsphase wird mit Spannung erwartet.Super-Ware von ZAMNESIA,weiter so! Ich bin wie immer sehr zufrieden mit Zamnesia. Zamnesia ist einfach der Seedshop meines Vertrauens. Der Versand war immer sehr schnell und die kostenlosen Samen die man noch oben drauf bekommt sobald man über X€ bestellt haben eine super Qualität. Die Royal-AK-Automatic gibt von der Keimung an sofort richtig Gas und bei einer Größe von circa 1m(+-) kann man diesen Strain auch unauffällig im Garten Growen. Ich freue mich schon auf das reife Endprodukt. PS. Ein großes Dankeschön an Zamnesia ich bin echt zufrieden mit eurer Arbeit.